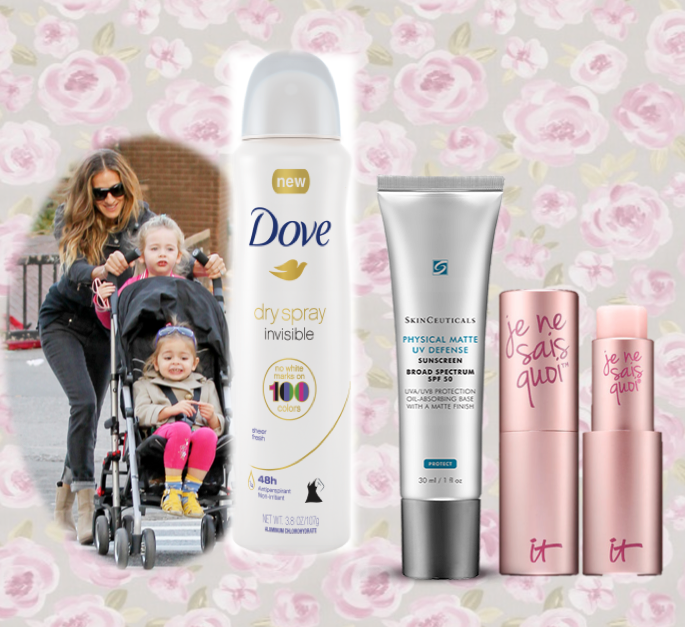 Miss Fake It 'Til You Make It: What are the Best Skin Products for Mom this Summer? What are the Best Skin Products for Mom this Summer? Hey momma, whether you are on 2-hours of sleep, or can't take your eyes off your toddling tyke, you definitely don't have the spare time to dedicate hours (or minutes!) to an intricate skincare regimen. Even more, you probably don't have the time to research the best skin care products to keep your complexion perfection in a fraction of the time. If you keep one product in your diaper bag, make it SkinCeuticals Physical Matte UV Defense. It has the consistency of a mousse for an easy application without a mirror. It is oil absorbing to not only protect your skin from the sun (SPF 50), but reduces your shiny t-zone. As an added bonus, it creates an airbrushed finish effect to make it look like you put some effort into your appearance (let's be honest, who has the time!?). The science-y formula nourishes your skin while hiding fine lines and those brown spots you got during pregnancy (chloasma). You should never be forced to decide between healthy lips and kissing your baby. Moms can't wear goopy lip products, so we need to stick to effective basics. I love ItCosmetics Je Ne Sais Quoi Lip Treatment because it glides on my mouth, adding a kiss of color, without transferring onto my baby when I maul her with snuggles. I don't have time to ensure my liner, lipstick and gloss are crisp, so toss that trio for an easy-peasy single stick trick. Dove Sheer Fresh Invisible Dry Spray Antiperspirant in your stroller bag and top up when you need a refresher. It's a masterful mom ally, because it covers up the scent of a busy morning, while keeping you protected the rest of the day. You can apply it after you're dressed for the day without ruining your blouse. We love the fragrance of clean finish because you won't smell like an artificial flower shop, but it's a gentle cover from your au naturale aroma. We are heating up for a sweltering summer, so anticipate your needs and stock up on this sweat stopper.